Manchester United are returning to Premier League action this afternoon, as they travel to Vicarage Road. The opponent is Watford and this will be a very important match for Jose Mourinho and his players. After consecutive losses to Brighton and Spurs, a win against Burnley was needed, but the team now needs to build on that. Remaining on six or possibly reaching just seven points from the first five matches would be almost catastrophic and therefore the team needs to show their A game. One of the things we would like to see from Manchester United on Saturday is this – Jose Mourinho choosing to play in a 3-5-2 formation. Reason for that could be purely the formation which Watford will use. They play in a typical flat 4-4-2 and while some might think United should not be adjusting to Watford but vice versa, this makes sense. United could play very well in a 3-5-2 and here’s why. With Marcus Rashford missing the game due to red card against Burnley, it would be Alexis Sanchez who would be playing alongside Romelu Lukaku. That could be a very potent partnership, with Sanchez naturally roaming in and around the box from the left, while the Belgian could also roam into his right, something he likes doing and something he is good at. We have seen that when he was at Everton and with Belgium. Also, that would leave the space for both Jesse Lingard and Paul Pogba to be the two more attacking-minded central midfielders, while Nemanja Matic would be sitting back. This way, United would have a quartet of players who could work well together, with Lingard and Pogba often arriving late and being the backup from central areas. A 4-4-2 could struggle against that. 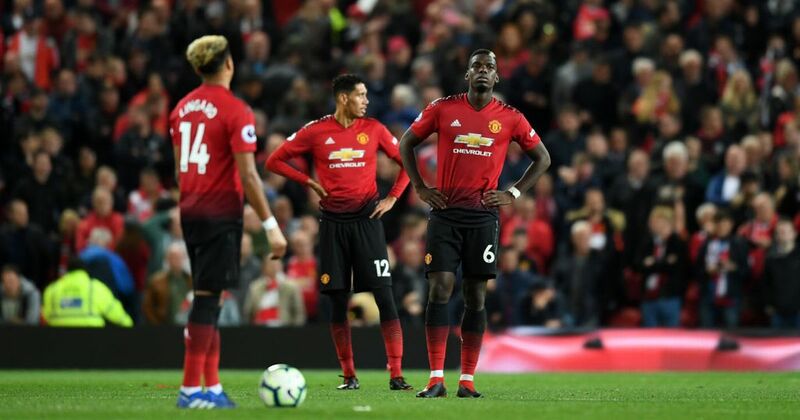 And if Mourinho would have Pogba, Lingard and Sanchez alongside Lukaku, that would be a very nice quartet of energetic players who can be vibrant on the pitch and create havoc. United would not play Juan Mata, a more composed midfielder, but four players who can do many different things when on the pitch. Also, a central quartet of the aforementioned players would mean that the two wingbacks would have a lot of space to bring their own energy to the final third and make Watford’s defenders work very hard. Against 4-4-2, a 3-5-2 with such quality players is a very dangerous weapon and Mourinho should be aware of that. Manchester United need solidity in defence. We all know Mourinho did not get the new centre-backs he wanted so badly and now he has to work with hat he has got on disposal. That might not be a great choice in numbers, but solidity could be achieved with three centre-backs. Lindelöf, Bailly, Jones and Smalling could potentially be part of it, with Nemanja Matic being an extra ‘shield’ in front of them. This would also give Man United a numerical advantage, as Troy Deeney and Andre Gray are expected to start as two proper strikers.